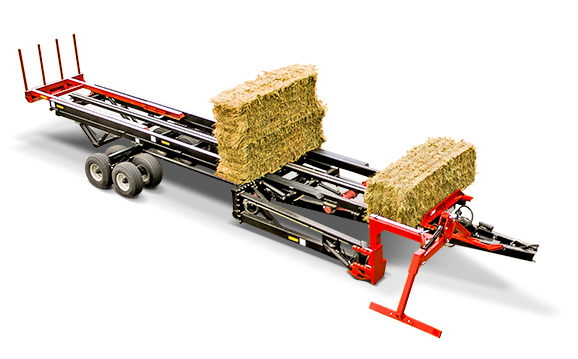 WITH YEARS OF ON-FARM TESTING AND REFINEMENTS THE FARM KING 4480XD SQUARE BALE CARRIER OFFERS SIMPLIFIED OPERATION AND AN INTUITIVE DISPLAY. The Farm King 4480XD Square Bale Carrier improves it’s capacity with 9 4'x4', 20 3'x4' and 24 3'x3' bales picked per load. With full customization and the quarter turn option you can configure it to perform to your operation’s needs. The 4480XD features a host of new innovations and technology designed to increase efficiency, maximize durability and minimize bale damage.